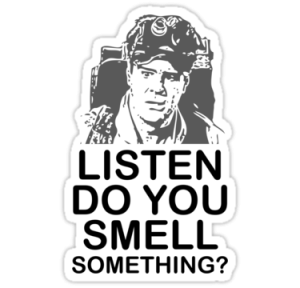 I was reading a recent study summation from the Journal of Science regarding the human ability to detect smells. The human nose can distinguish at least one trillion different odours — millions more than previously estimated, U.S. researchers have learned. “Our analysis shows that the human capacity for discriminating smells is much larger than anyone anticipated, said study co-author Leslie Vosshall, head of Rockefeller University’s Laboratory of Neurogenetics and Behavior. As I read this information I kept going back in my mind to the number 1 trillion. Someone produced a mathematical equation to support the one trillion numbers. I just kept thinking that the number was so large it would impossible to calculate. To get a feeling for the types of numbers we are talking about let’s consider the much much smaller number of one billion. If you were to start counting aloud and spent one second on each number it would take you just under 32 years of around the clock counting to reach one billion. I guess most people who read a study from a Journal accept the information because it is published in a Journal. As a chiropractor I tend to be a little more skeptical or pessimistic with some conclusions. Over the years I have seen studies with heavily weighted outcomes geared toward the organization that funds the study. Case in point the study that suggests an 81 mg. dose of aspirin is beneficial to your cardiovascular system. The manufacturers like Bayer, run with this and base an entire marketing campaign on that sentence. The problem is that if you read the entire study the overall conclusion it that the detrimental effects on your digestive tract by taking an aspirin a day outweighs the benefit. When you listen to drug ads on the television and the positive claims last 20 seconds and the next 40 seconds is trying to gloss over the potential side issues. I suppose the point I am trying to convey to you is that just because it is written does not necessarily mean that it is the gospel. We need to use our own logic and common sense to come up with a valid conclusion. Our approach as chiropractors is to try and provide sound and timely information to our patient partners in order to empower them to make sound health and wellness choices for their families and themselves.